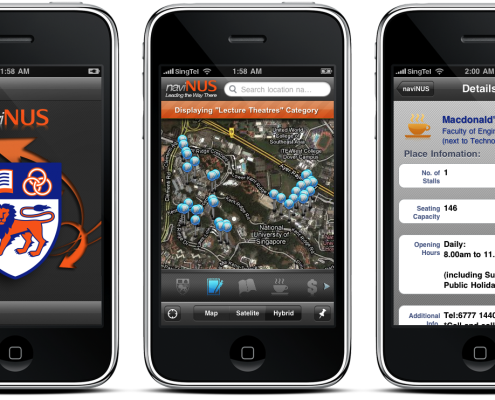 This is a map application for the iPhone which shows an overview of the campus of the National University of Singapore. It contains information on different Points-of-Interests(POI) of the school. This includes the locations of the various lecture halls, sports facilities, bus stops, food outlets and many more. It also contains details like bus arrival times and shuttle bus routes, opening hours and seating capacity of the food outlets. 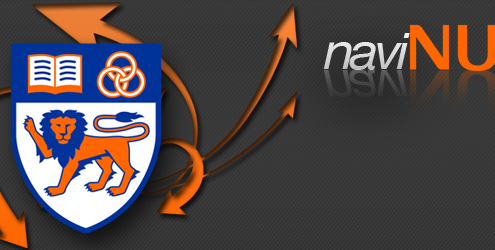 naviNUS was built for students of NUS to aid them in adapting to the school’s surroundings and help them find their way around the school with ease. App done on my own accord. I came up with this idea during the first few days of graduate school to aid me in finding my lecture venues. naviNUS is available for free on the App Store. It was ranked among the Top 20 applications in the Singapore App Store in the first week of release.